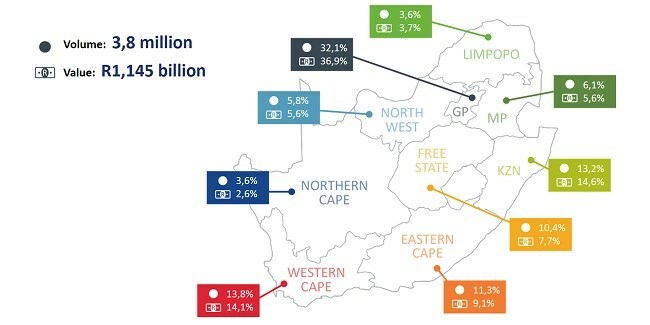 In a recent evaluation of the total eight million South African properties,Lightstone revealed that the affordable sector (low and mid value) is by far the largest portion of the residential property market, amounting to 71,4% of the total volume of properties in South Africa. Lightstone’s affordable property market is defined as properties with a Lightstone automated valuation of R 700 000 or less and a total of 94,2% of these properties are classified as freehold. The total value of the affordable market is R1,143 billion whereas the South African residential property market is valued at R5.3 trillion. 32,1% of the affordable market properties are situated in Gauteng, 13,8% in the Western Cape and 13,2% in Kwazulu Natal. 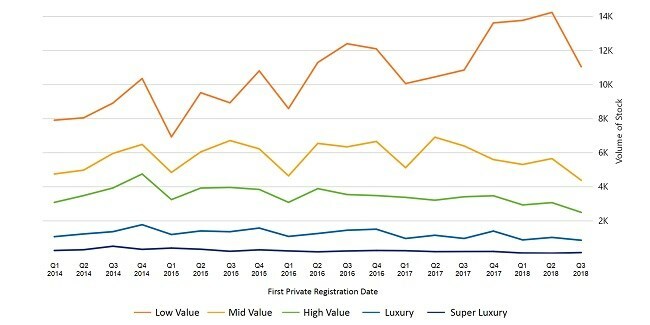 Between the third quarter of 2017 to 2018 developers have responded positively towards all markets with a significant spike of new properties being registered in the low value band. 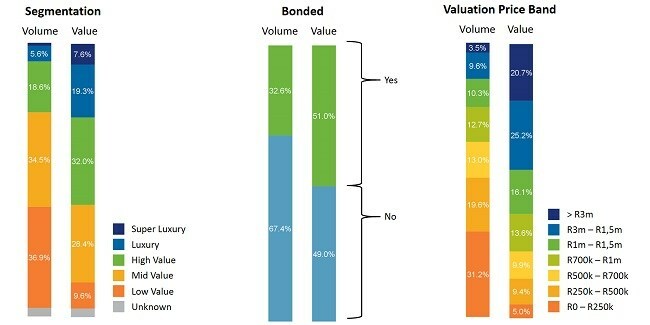 With the significant growth in the mid to low value market it is encouraging to find traditional disruptors responding positively. Financial institutions like Old Mutual have started Stokvel financing for the low value property market, home owners are earning additional income through renting rooms or backyard properties and developers and community leaders are working together to find innovative solutions to unlock the true potential of this market segment. New data has revealed the key reasons for selling property and what this tells us about the state of the market.